This may be the final day of this deal, but Verizon’s current “up to $450 off” promo isn’t a terrible choice for those looking to switch to Big Red today. I think it might be the last day, because Verizon has told us that a new BOGO deal (plus trade-in) is kicking off tomorrow. Still, this one gets you up to $450 off a Pixel 2 (2 XL), Galaxy Note 8, iPhone X, Galaxy S8, iPhone 8, etc., with pretty decent trade-in prices for a number of phones. The deal is as follows: If you switch to Verizon, port-in your number while buying a phone on a device payment plan, and trade-in your current phone, they’ll give you a $150 MasterCard prepaid card, along with up to $300 off for your trade. As with any Verizon deal, the goal is to lock you in for 2 years on a device payment plan, so that trade-in value is spread out over 2 years. Additionally, the $150 MasterCard could take up to 8 weeks to arrive. 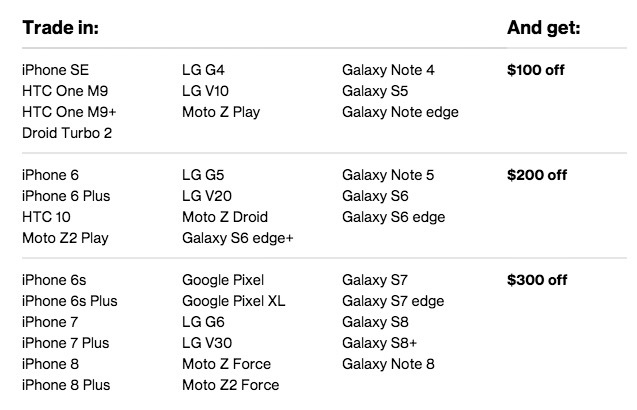 As for which phones you can trade, the full list can be seen below. Some of the values that stick out to me are the Galaxy S7, iPhone 6s, and Pixel for $300 off, plus the Moto Z, Galaxy S6, and G5 for $200 off. When you combine those trade values with the $150 MasterCard, that’s not a bad discount on a new phone with your new life on Verizon. 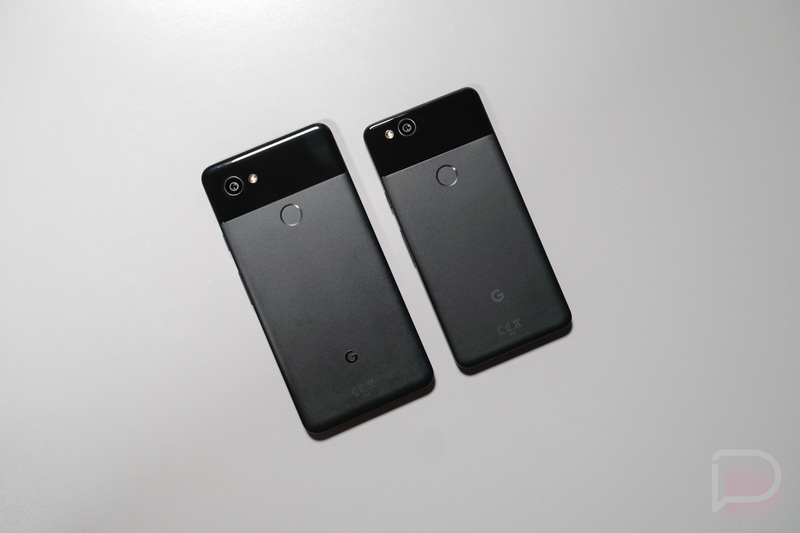 Again, this new deal is available today for the Pixel 2 and Pixel 2 XL, Galaxy Note 8, Galaxy S8 and S8+, iPhone X, and more. Question of the Day: What Smart Home Tech Do You Use in Your House?